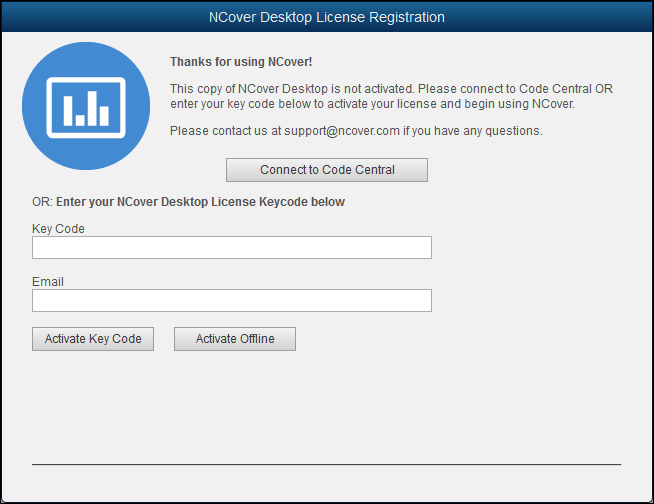 After Desktop is installed, logging into the application for the first time will display the registration screen. If the machine where Desktop is installed doesn't have the internet access needed to contact the NCover license server, there is an offline registration option. 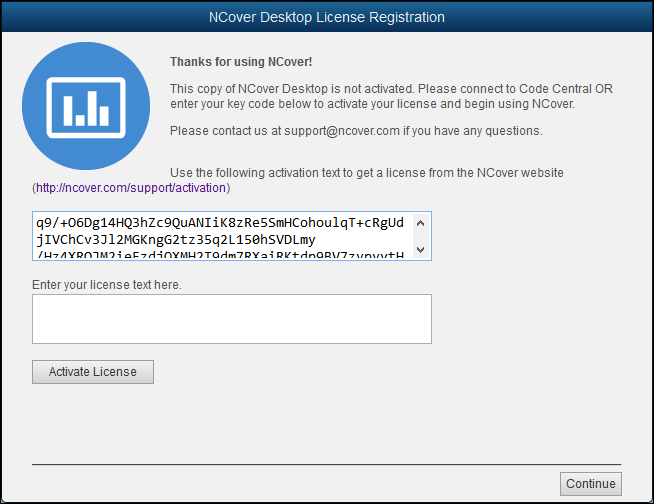 Paste the activation text from Desktop into the "Paste your activation text here" field on the license activation web page. 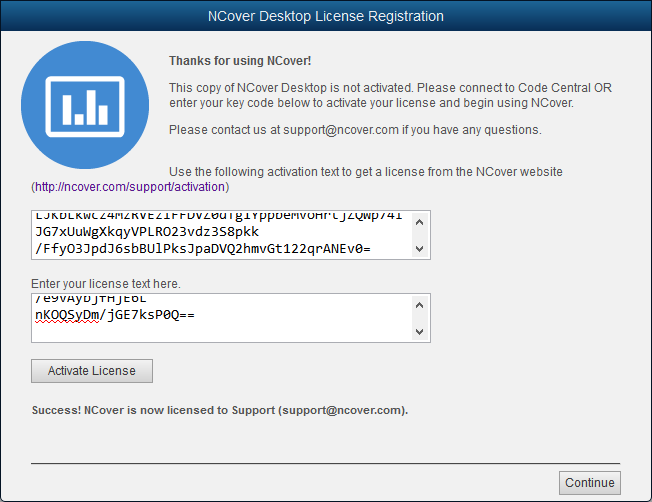 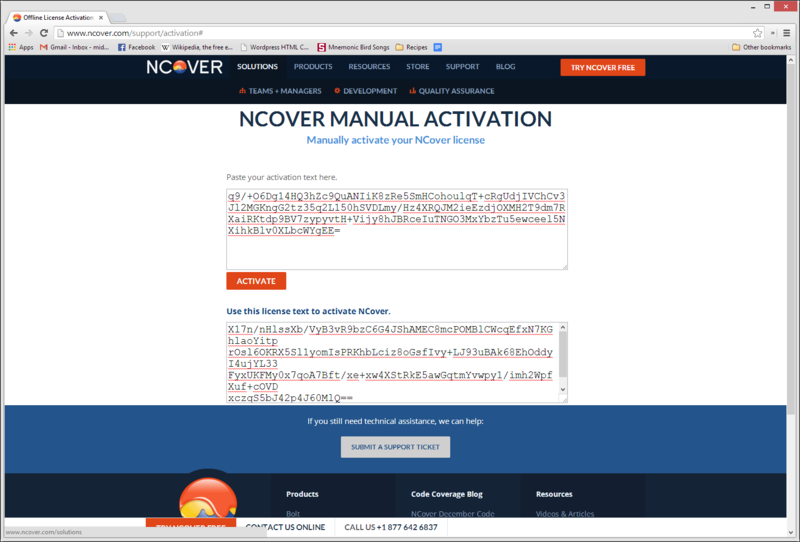 Go back to Desktop and paste the license text into the "Enter your license text here" field on the NCover License Registration window.